Built specifically for festive season the Primal Comet gaming PC is the perfect package for PC gamers this Christmas. So what’s included and in the package and how does it perform in the latest games? Bundled with an AOC 24″ Full HD gaming display, the Primal Comet is able to take full advantage of the picture quality and specifications of AOC’s screen. This offers a LED-backlit TN panel with an amazing 5MS response time – perfect for eliminating blur and retaining clarity and sharpness across fast-moving images when gaming. Along with a great textured finish and input for DVI-D which is perfect for the high resolution display, gamers will be pleased with the quality provided by the screen. Consisting of a LED backlit keyboard built from a rugged metal plate, the Cerberus gaming keyboard carries a stylish design with enhanced macro-keys for user-customization ad control. This is further improved by the Cerberus mouse which contains an adjustable DPI settings and a rubberized grip design. Keeping in-line with the Red and Black colour scheme, the Cerberus headset features large foam cushions for excellent comfort and 60mm neodymium drivers for great audio output. This also contains a built-in microphone for chatting with friends during online gaming. Complimenting the entire setup, an Asus Cerberus mouse pad provides extra comfort through premium heavy-weave fabric, allowing for quick swipes ad tracking of the excellent mouse. 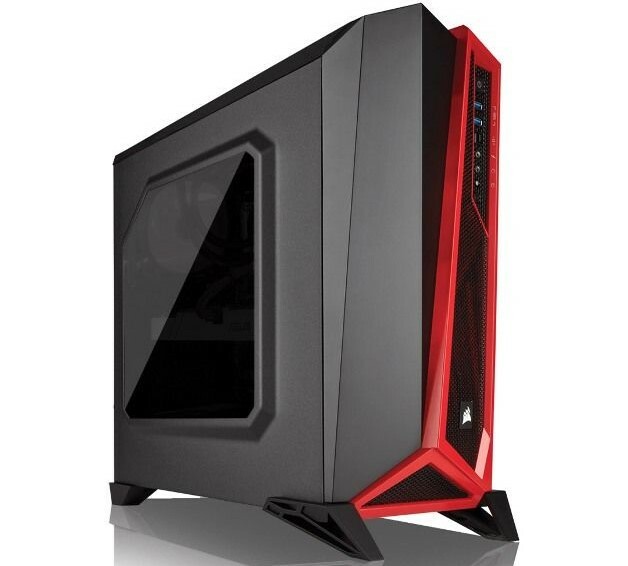 Built within a Corsair Spec ALPHA chassis with a Grey and Red colour styling, the Primal Comet allows for great cooling with excellent airflow, with plenty of room for the included components to perform at their best. To top things off with improved user-control, a RGB LED lighting kit has also been installed, giving gamers complete control of lighting effects to suit their setup and colour preferences. With an Intel Core i5 processor for four cores of lightning-fast processing at 3.5GHz, games are provided with excellent performance for very high frame-rates on HD displays. Fitted with 8GB of DDR4 RAM and a combination of two storage drives, the Primal Comet delivers fast boot-times, responsive applications, and plenty of space to store media and games, thanks to a 120GB SSD and a 1TB hard drive. 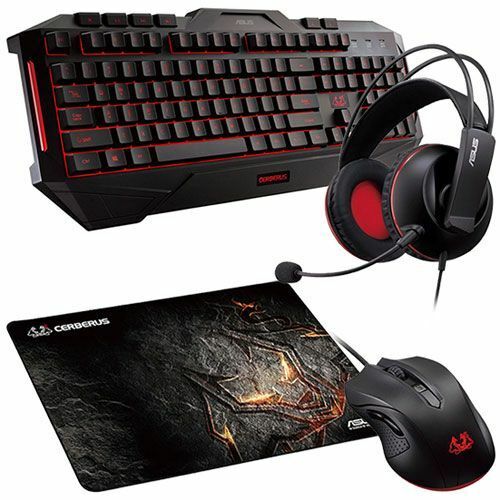 Additional components include a highly reliable 500W 80+ Plus Bronze power supply, Wi-Fi connectivity, and an Asus motherboard. The operating system for this PC is Windows 10, along with a 5 year standard warranty with premium options for additional coverage. Designed to handle all the latest games at all manner of resolutions, the Nvidia GeForce GTX 1060 (3GB) graphics card delivers incredible performance. We fully understand that the allure and attraction of PC gaming is largely due to the flexibility and options it provides in terms of hardware and visual game settings, and for this reason we decided to see how far the Primal Comet could be pushed within its level of performance. Each game tested offers up a number of graphical presets with each setting increasing the visual complexity, detail, and quality of the game in question. We tested these games at varying presets at different display resolutions, in order to provide the most suitable frame-rate for each one. DOOM provides 4 different quality presets. 1 is the lowest, 4 is the highest. Playing at Full HD on preset 4 DOOM performs at 100fps. Playing at 2K resolution on preset 4 DOOM performs at 60fps. Hellblade: Senua’s Sacrifice provides 4 different quality presets. 1 is the lowest, 4 is the highest. Playing at Full HD on preset 4, Hellblade performs at 60fps. Playing at 2K resolution on preset 3, Hellblade performs at 40fps. Rise of the Tomb Raider provides 5 presets. 1 is the lowest, 5 is the highest. Playing at Full HD on preset 5, Rise of the Tomb Raider performs at 60fps. Playing at 2K resolution on preset 4, Rise of the Tomb Raider performs at 30fps. Wolfenstein II: The New Colossus provides 6 presets. 1 is the lowest, 6 is the highest. Playing at Full HD on preset 4, Wolfenstein II performs at 60fps. Batman: Arkham Knight provides 3 presets. 1 is the lowest, 3 is the highest. Playing at Full HD on preset 3, Batman: Arkham Knight performs at 60fps. Playing at 2K resolution on preset 3, Batman: Arkham Knight performs at 45fps. Based on the display resolutions tested, the Primal Comet is the perfect machine for Full HD gaming as well as 2K displays. 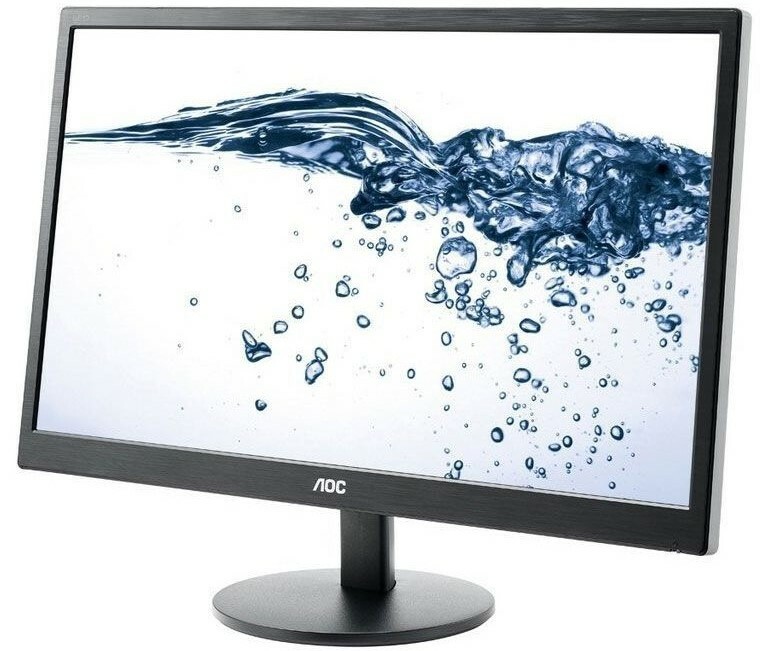 The included AOC monitor will certainly prove to be a great piece of kit that will display games at their absolute best. The Primal Comet Super Package can be purchased at Dino PC for £999.